One. Transport Secretary Juan Pablo Schiavi was the first official in the Cristina Fernández de Kirchner administration to face the cameras and speak to the public in the aftermath of the Once train slaughter. The first thing he did, even before expressing official condolences, was media semiotics. Schiavi said three words were defining the moment: tragedy, disaster and pain. Some TV channels, said Schiavi, were using those words on their screens to frame the situation. And he said he wanted to coin his own terms to the chain of signs: responsibility and accident. “The word accident also exists,” noted Schiavi. The government is, as most governments are, obsessed with the public interpretation of reality. There is nothing wrong with that, at least technically. But the fact that the Transport Secretary’s first talking-point on a day of televised tragedy in a downtown morning train was an effort to explicitly push for the government’s own terminology might be seen as a sign of semiotic obsession rather than virtue. Two. When one of the staunchest supporters of the government’s policies in the press ranks notes three times in a story without a byline that the Transport Secretary’s press conference was “short” and mentions that “no questions were allowed,” there is no need to read between the lines to understand there are some cracks in the government’s public communications practices. “A brief statement,” “lasting less than 15 minutes,” “taking no questions,” was some of the language printed by the daily Página12 the day after the accident as it reported on Schiavi’s media appearance (http://cor.to/Xgr). The government’s media and information policy continues on pre-reelection automatic pilot. Ever since the farming conflict of 2008, the administration of President Cristina Fernández de Kirchner understood reality was not enough to capture the public’s imagination and placed much of its political efforts on “the narrative” of reality. The government’s policy pendulum has now arguably touched on the opposite extreme. Schiavi’s imperative need to discuss the words used to describe reality before reality itself is the tip of a narrative iceberg the administration is sitting on. Three. Schiavi said he would take no questions from journalists on the grounds that he would deliver all the information he had and that he would make other public appearances once more information had trickled in. In his defence, Schiavi is just the latest example of a new norm in Argentina’s press life in which personalities call in the press to speak their truth and take no grilling. Press conferences have become conferences, period. Argentina does not have a tradition of open public information. There was some progress during the first of the Kirchner administrations (Néstor Kirchner, 2003-2007) via the introduction by decree of a series of rules for the public to request information from government offices. But the ruling party has been reluctant to endorse public information access legislation in Congress. The President has only offered a handful of press conferences in four and a half years in office. The no-questions technique has spread throughout and beyond political circles — both among the government and the opposition and to the showbiz and sports worlds as well. 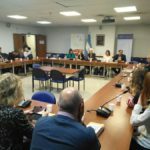 A group of journalists sought to engage politicians in a commitment to accept real press rounds via a programme called Preguntar al Poder, which was sponsored by the Konrad Adenauer Foundation based on a German model. The press conference cycles worked smoothly, but did not translate into a change in real-life practices. 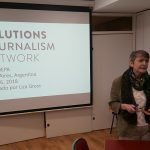 Not only are public figures to blame: the press guild in Argentina has not produced a single protest event like that of, for instance, sports journalists in Madrid, who last year walked out of a press conference after learning that Real Madrid coach José Mourinho would send his assistant coach in his stead in the week prior to a super-derby against Barcelona. Four. It is comfortable to believe that a successful formula can last forever. Since its lowest ebb during the 2008-2009 farming conflict-midterm defeat combo, the government managed to fight its way back to the right side of the public’s favour through a combination of policy and words, reality and symbol. The media tussle served as the government’s natural arena. The government’s comeback can largely be attributed to its ability to bring to the public sphere a reality a large portion of the public felt real but not represented by a privately-run media oligopoly. Some of the most diehard media products sponsored by the administration have served that purpose — most notably the primetime oppositionist-media bashing talk show 6,7,8 but also a group of private media owned by government supporters and financed with public cash via State advertising channels. Anybody could argue that keeping these media going is politically rational and instrumental in order to put out the government’s side of every story. The danger for a reality-sensitive administration is to place words before reality when it comes to managing crises and outlining policy. Now that the (media) war is over, generals and soldiers would be required to drop the warfare of words and engage instead in some type of peacemaking.